Germany’s première SynthWave outfit Final DJs have turned in another one of their monster, euphoric, slices of synthesizer gold. 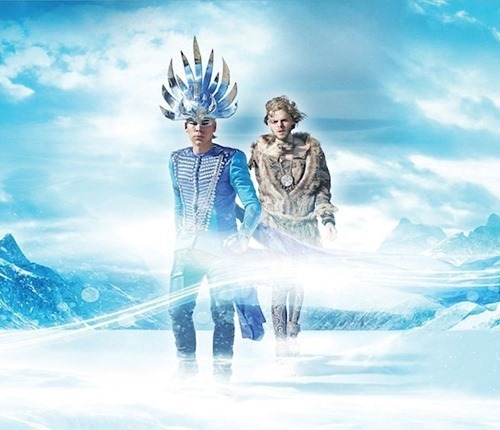 This time of target of the Sci-Fi workout is the Southern Hemisphere’s most mystical ElectroPop duo, Empire Of the Sun. Final DJs have got to grips with their track, Wandering Star, and turned it into a cinematic synth masterpiece. There is some absolutely gorgeous sounds in this reMix. At it’s heart the tune is a deft mix of SynthWave and Nu-Disco, pretty standard dancefloor fare, but coupled with Final DJs’ flair for vintage synths and soaring solos the tune is elevated to a higher place. A hands-in-the-air moment for the Dreamwave crowd, this tune should be soundtracking peak time at retro synth nights across the globe.